[…]In a New Year’s message, North Korea’s leader, Kim Jong-un, urged North Korea to become an economic powerhouse by improving productivity. He specifically mentioned the Musan Mine, as it is one of the largest iron ore mines in the region with a reserve of approximately three billion tonnes of ore. This announcement comes after a Chinese investment firm, Tianchi Industry and Trade, pulled out of the mine in the early fall of 2012. North Korea demanded a price increase of 20%, on top of the 50-year lease that had been in place since 2005. With the price increase, Tianchi did not feel the location could remain profitable, and North Korea refused to renegotiate. As a result, the associated smelter in China was shut down in September 2012. The presents a loss for the Jilin provincial government in China, which had extended a rail line 42 kilometers to the border to transport ore north after it was processed at the smelter. With the departure of the Chinese investment firm, the Musan Iron Ore Mine is currently operated by North Korea’s Ministry of Mines. The mine has the potential to produce 1.5 million tonnes of ore a year if the North Koreans can operate it at its former capacity under Tainchi. The Chinese apparently baulked at a price increase of more than 20 percent demanded by the North, although international iron ore prices are plummeting in the wake of the global recession. They won 50-year extraction rights for the mine in 2005. A smelter in the Chinese province of Jilin near the border with North Korea and operated by Tianchi Industry and Trade, the Chinese partner to the Musan Mine, closed down in September, according to a source in Yanbian on Tuesday. The smelter used to process iron ore extracted at the mine. Tianchi Industry and Trade turned down the North’s demand, saying it makes hardly any profit as is given wages for North Korean workers and transportation costs. Tianchi, a private trading company based in Yanbian, has served as a conduit for iron ore produced at the Musan Mine to the Chinese market since the early 1990s. It obtained the extraction rights to the mine in 2005 after concluding a trilateral joint-venture contract with Tonghua Iron and Steel, a Chinese state-run iron and steel mill, and [North] Korea Ferrous Metals Export and Import Corporation. Tianchi hired North Korean workers and extracted 1 to 1.5 million tons of iron ore at Musan every year, which it supplied to Tonghua and other companies. But the first cracks in the deal appeared in 2009, and iron ore production had been intermittent since then and stopped completely this year. The Jilin provincial government has also been hit because it already laid a 41.68 km railway line leading to the border town of Nanping since November last year. However, not all business between North Korea and China is rosy. An iron-smelting factory in Helong City, Jilin, that was visited on Sept. 5, had to close its doors. It used to be a place where iron from across the Yalu River was brought from North Korea‘s Musan iron mine and processed. A railroad was expected to run from the two cities by October of last year in order to increase the amount of iron brought into China. But the construction was never completed. A Chinese company called the Yanbian Cheon-ji Industry Trading Company had rights to the Musan mine for fifty years starting in 2005. There are many guesses as to why this happened: “North Korea was asking for a price increase of 20% while the price of iron has declined in the rest of the world;” “There was trouble between the Chinese government and the new Kim Jong-un regime on negotiating development rights;” “There was a downfall of development due to differences with foreign investors about investing in electrical power.” No one knows clearly what the reason was, and there are still busy trying to figure out what is the real situation. Pictured above (Google Earth): The Musan Mine, the DPRK’s largest. See in Google Maps here. During his surprise May visit to China, North Korean leader Kim Jong-il secured free fertilizer and discounted food to help alleviate the impoverished country’s chronic food shortages. A source in Beijing who monitors North Korea-China relations told the JoongAng Ilbo on Monday that Chinese officials agreed to provide 200,000 tons of fertilizer free of charge as well as 500,000 tons of corn at a discount in exchange for rights to North Korea’s abundant natural resources. The source added that China agreed to sell the 500,000 tons of corn for half of the international rate, which would be $30 per ton. The corn, the source said, had already crossed the border into North Korea from northeastern China. In exchange, Kim will allow China access to his country’s natural resources. North Korea is estimated to have around 20 million tons of rare earth minerals, which are vital in the production of high-tech goods. The Beijing-based source said the agreement gives China the responsibility for the cost of building roads to transport the natural resources as well as lending equipment. In exchange, North Korea will hand over 50 percent of the extracted rare earth minerals free of charge to China, with the rest to be sold to China at international market rates. Meanwhile, other sources said that Kim also received a health checkup during his stay in China. 1. Here is a post linking to all the major DPRK food stories this year. 2. The media has reported on other DPRK food barter deals with Cambodia and Myanmar. 3. The role of the Musan Mine in DPRK-PRC relations has been quite interesting. 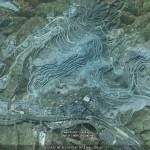 Here are previous posts on the mine. Last year a Chinese company took a 51-percent stake in Hyesan Youth Cooper Mine in Yanggang Province, North Korea. Hebei-based Luanhe Industrial Group now has the right to develop the mine for the next 15 years. 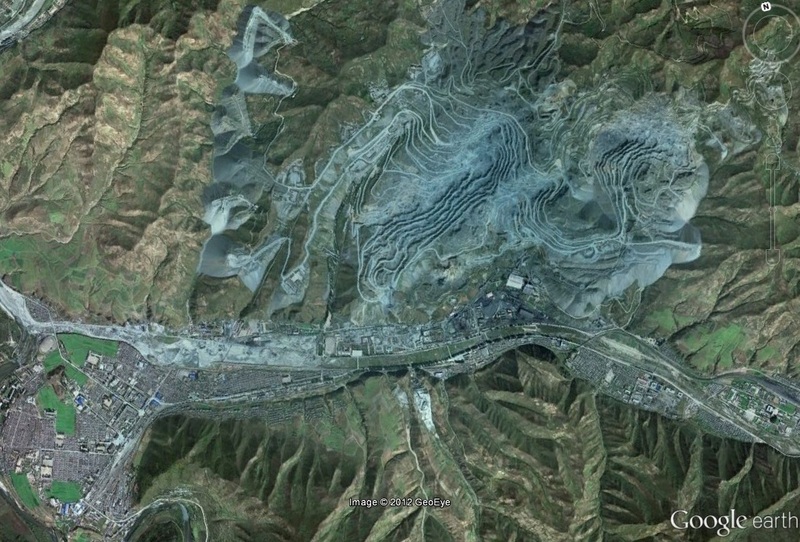 North Korea also sold a 50-year development claim to the Musan iron mines, Asia’s largest open-air mine, to China’s Tonghua Iron & Steel Group. Since 2006, North Korea has sold the rights to develop more than 10 mines to Chinese firms. KDB Research Institute, an affiliate of Korea Development Bank, has raised concerns with a report released Wednesday that details China’s intensive investment in North Korean natural resources. According to the report, since 2002 China has invested US$13 million (US$1=W932), more than 70 percent of its total investment in North Korea, in iron, copper and molybdenum mines. The major investors come from the three northeast provinces of Heilongjiang, Jilin and Liaoning. They have moved the focus of their investment from small-scale, commercial opportunities to strategic deals to secure energy resources, the report said. According to the report, China’s Wukang Group bought the rights to dig the Yongdeung mine, North Korea’s largest hard coal mine, and another Chinese company invested in a North Korean project to develop an oil field in the West Sea. The North has also allowed Chinese fishermen to fish off the coast of Wonsan, a North Korean port city on the east coast, in return for 25 percent of the catch. Since North Korea lacks funds while China suffers from a shortage of natural resources the two are forming joint development projects, said KDB Research Institute researcher Chung Eui-jun, the writer of the report. Andrei Lankov, a North Korea expert at Kookmin University in Seoul, said in the Wall Street Journal last July that the Chinese government seems to have made a strategic decision to encourage Chinese firms to invest in North Korea as a way to maintain its influence with its long-time ally in the post-Kim Jong-il era. You are currently browsing the archives for the Musan Mine category.